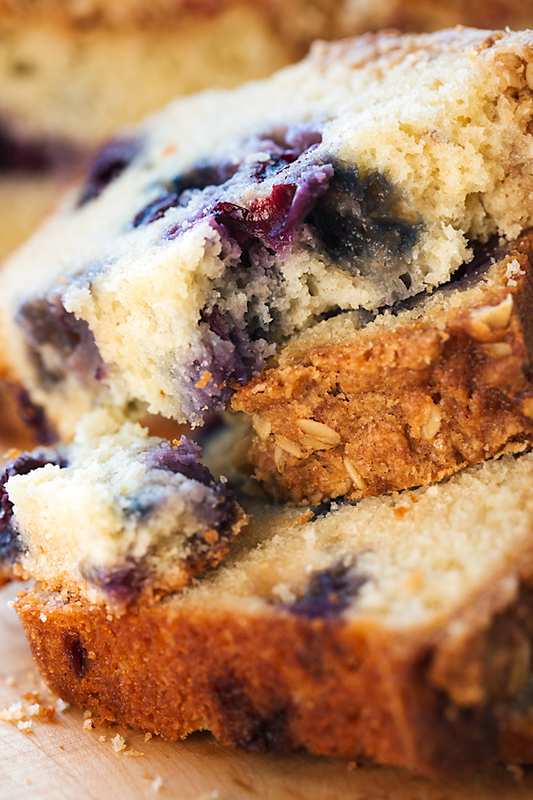 Sometimes blueberry muffins just need to be taken to a whole new level, and that level is lemony blueberry muffin bread. Heavens to Betsy, Muffins to bread! 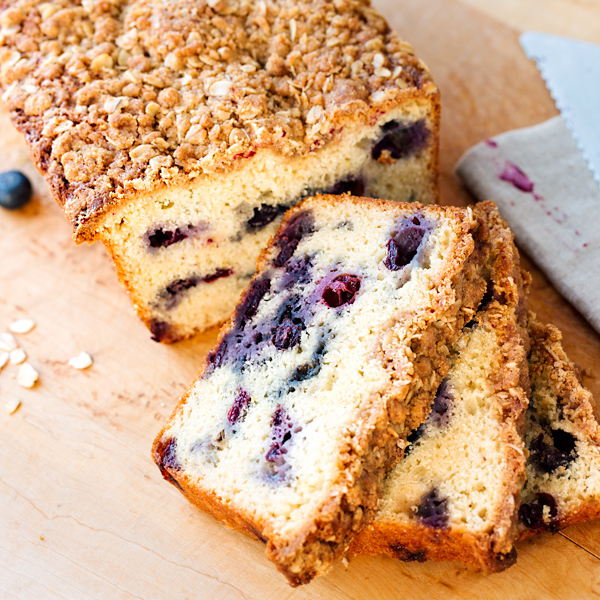 For lemony blueberry muffin bread, put away those paper liners and get out the loaf pan instead. 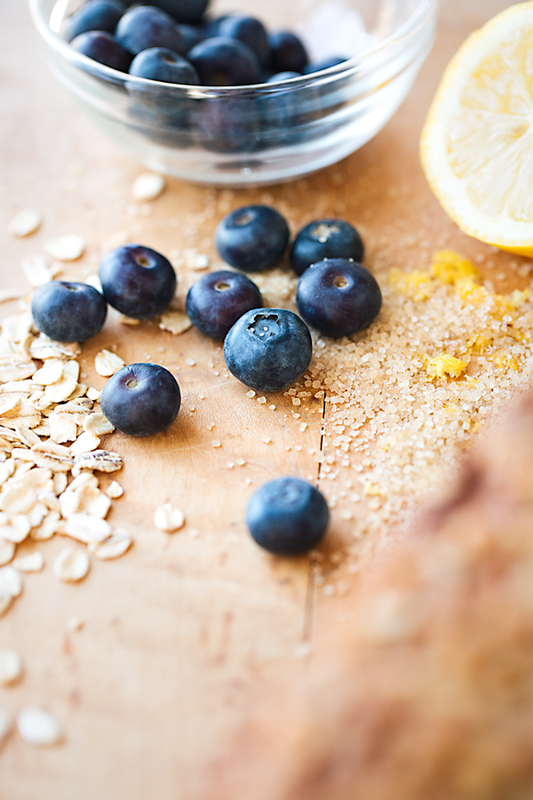 With all the gorgeous, antioxidant and vitamin-rich fresh blueberries overflowing in the markets, I’m finding myself intensely craving homemade baked goods loaded up with those sweet and juicy little “super food” gems. Chock-full of vitamin K, C and fiber, as well as highly beneficial for brain health, they are the delectable stars in recipes like these Blueberry Breakfast Rolls, or these Blueberry Pie Bars, which I absolutely adore. But I found myself craving blueberry muffins, complete with that little zing of bright lemon (as blueberries and lemons are best friends), and a buttery oat-streusel topping. And so, I got to baking! What’s lovely about blueberry muffins is that their batter makes for a tender, moist, and delicate finished product; and with that purple swirl from the fresh berries, they’re slightly tangy and just the right amount of sweet. Topped off with a bit of buttery and slightly nutty-flavored streusel crumble, they hit the spot perfectly as an ideal warm-weather breakfast or brunch item to partner up with a good cup of berry infused tea or rich coffee. So then I got to thinking: what if the delectable blueberry muffin could be taken to a different level, and turned into a bread? 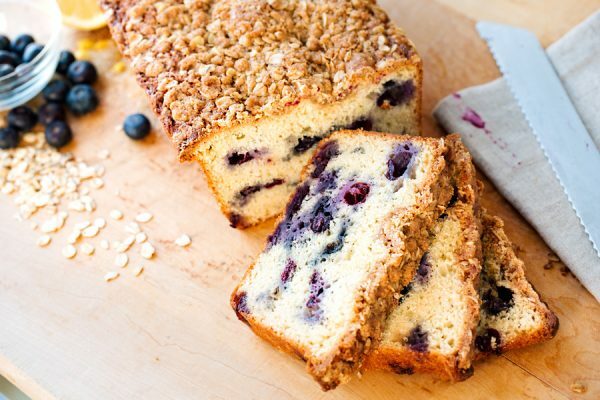 A blueberry muffin bread? 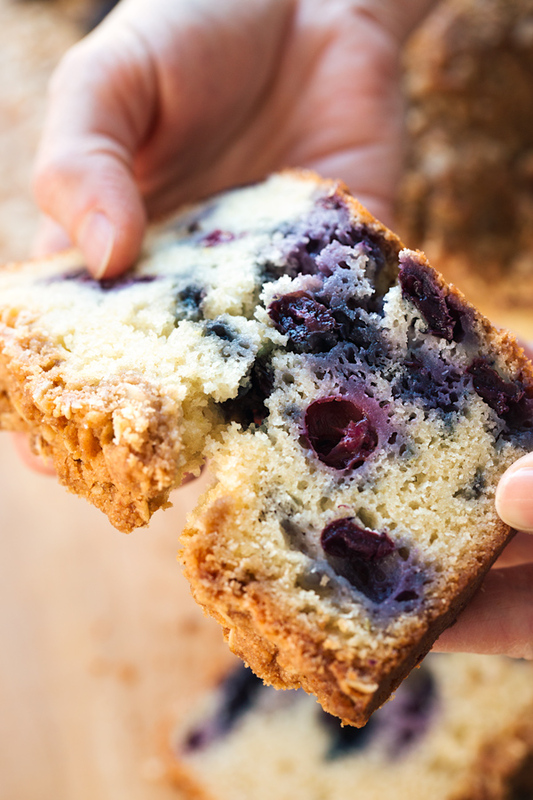 Why couldn’t this simple berry-filled batter be poured into a loaf pan instead? 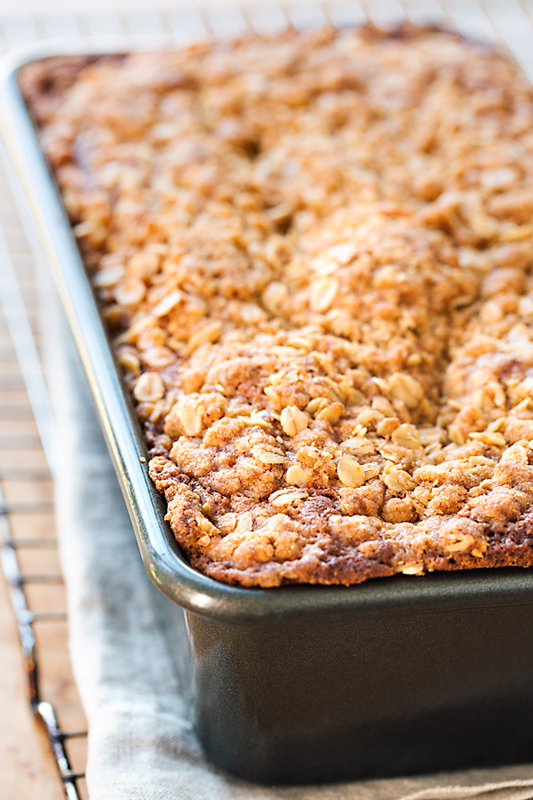 Why of course it could—sprinkle generously with a layer of that scrumptious streusel topping, then baked off and slice thickly! 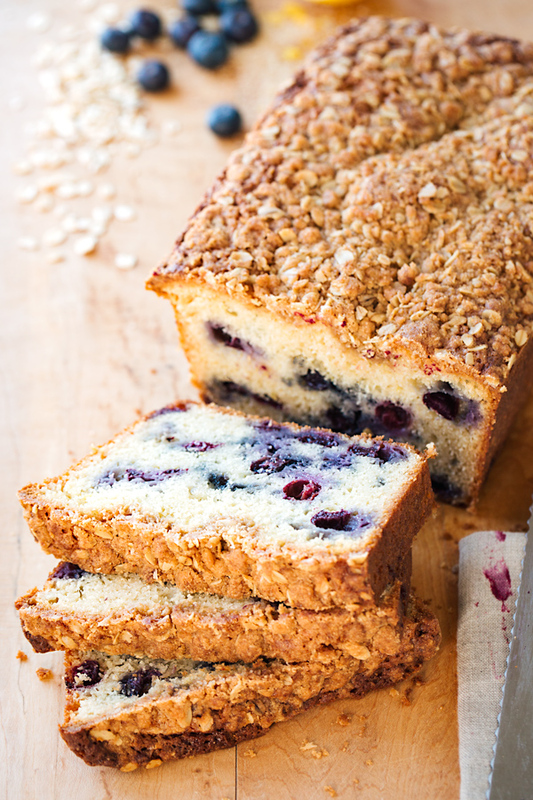 It’s sheer dessert perfection in loaf form. And that’s how moist and delicious lemony blueberry muffin bread was born, from a craving for muffins. So put away those paper liners for now and bring out that loaf pan instead, and put all those glorious (and healthy!) blueberries to mouthwatering use. • Reach for the buttermilk for tender muffins: While muffins typically call for milk in the batter, I love to use buttermilk and a bit of sour cream to create that tender texture and slightly tangy flavor that pairs so well with the blueberries and that zip from the lemon zest. And, having these ingredients at room temperature makes for more “even” baking. • Butter is better: Adding melted butter rather than oil into the batter infuses it with a delicious richness, and adds even more flavor. • Fresh is best: Fresh blueberries truly are best for this, since they’re naturally juicy, sweet and tangy; but you can substitute frozen in a pinch—just don’t defrost them, as they can become soggy. Either way, toss the blueberries (either fresh or frozen) in a little bit of flour before adding them into the batter to keep them from sinking to the bottom. • Choose the right size tin: Use a loaf pan that is approximately 9 ¼”x 5 ¼” x 2 ½ ”—any smaller and the batter may overflow. 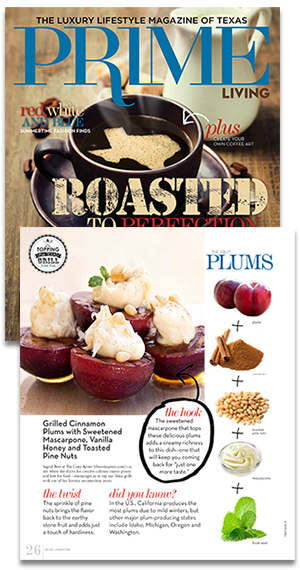 • …and turn yourself around: Turning the loaf half-way through the baking process will help create even baking; and if the top of your loaf is a little craggy once it’s baked, that’s perfectly fine—all the more “muffin-y”. Show your leftover loaf some love: Any left-over muffin bread can be sliced, stored in a ziplock bag, and frozen. -Preheat the oven to 350°, and spray a 9 1/4”x 5 1/4” x 2 1/2” loaf pan lightly with cooking spray. -Prepare your streusel topping by combining the ingredients in a bowl, and cut in the cold butter with a fork, pasty cutter, or your fingers (I like to use my fingers) until the mixture is crumbly; set aside in the fridge to keep chilled while you prepare your batter. -In a large bowl, whisk together the 2 cups of flour, baking powder, baking soda and salt; set aside for a moment. -To another bowl, add the eggs, sugar, lemon zest, and vanilla, and whisk until creamy and well-blended; add in the melted butter, and whisk that in; add in the buttermilk and the sour cream, and whisk those in until blended. -Pour the wet ingredients into the dry, and using a spatula or wooden spoon, mix carefully just until the batter comes together; toss the blueberries with the remaining 2 tablespoons of flour, and then carefully fold them into the batter, just until incorporated. -Pour the batter into the prepared loaf pan, and crumble over the streusel topping; bake for about 1 hour and 10 minutes, or until a toothpick inserted into the center comes out clean. -Allow bread to cool in loaf pan for about 10 minutes, then carefully turn out of the pan and allow to cool completely on a wire rack before slicing. (“From the Heart” is a little accompaniment to the recipes I bring you, a more intimate space for me to share some of my more personal thoughts on life. Here you’ll find my reflections on my own inner/spiritual journey, on being a wife and a mother, on being a creative, and general observations—pretty much whatever is on my mind. “Warm and sunny spring is here!” is not a phrase that you would typically hear me proclaim with great gusto, but this year, I’m actually excited to be able to say those words. While this life-nurturing season, with its gorgeous and clear blue skies, is something that I truly do appreciate each and every year, most years, after not having much of a deviation in temperatures and weather here in Southern California, it’s hard to differentiate between the seasons and to be grateful for…well, more warm/hot weather. This year we genuinely had a winter in So Cal (well, as “wintery” as we get) what with the cold temperatures and the copious amounts of rain—the crazy storms and flooding—and so my spirit is jumping for joy to be out of that particular extreme and to now be experiencing and enjoying these sunnier, lighter days. And so…I am grateful for the change. Truth be told, I have always had a soft spot for many aspects of the spring season, my favorite being that deep, sweet, floral scent that hangs in the air in the evenings, a scent like amber honey and tangled, wild jasmine. And then, of course, there is that lazy, lingering evening sunlight that falls across the now green lawns and the rolling foothills and local mountains, casting an ethereal and luminous golden hue over everything, creating an almost dreamlike quality. My heart opens up to all of the new life coming into the world during this season, all of the activity, the incessant chirping, and the busy buzzing going on all around. 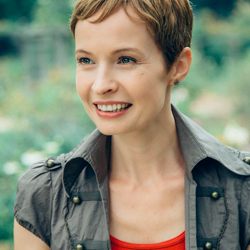 All of this is so inspiring, and so eliciting of gratitude and hope in the amazing cycle of birth and of re-birth. Even the foods of the spring season seem to take on qualities of a “juicier” and sweeter nature, as picks like vibrant and tangy blueberries become key components in delectable and tender loaves of freshly-baked blueberry muffin bread kissed lightly with a hint of lemon, the thick slices fragrant and irresistible as they melt in one’s mouth. I am glad to actually be filled with enthusiasm over the warmth and beauty of the spring season this year, and to be able to consciously luxuriate in its sweetness and in its gentle qualities, because it offers a change from what has been. It is a gift to me to have this awareness, and to be able to experience and savor, with a grateful heart, all the flourishing life contained within all that now surrounds me.